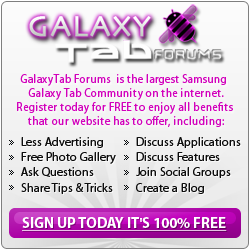 Did any one ever post a fix for boot loop problems on Samsung Galaxy 2 tablet? I have done all the suggested fixes and it is still doing the same thing. I cant uninstall anything because it shuts off and restarts before I have time to do anything. Help!!! Welcome to the forum Zip316. How about listing everything that you've tried. Hi, thanks for your reply, I tried to delete apps that I thought were problems, but couldn't because the tablet would restart before I could finish uninstalling. I then did the hold power and volume button down, cleaned cache fix and reboot to no avail. I finally did the factory restore option, it didn't work ,but I did it again and so far so good. Glad it's up and running again! I'll mark this thread resolved.